The U.S. Navy has issued a request for proposals for the potential eight-year, service management, integration and transport portion of the Next Generation Enterprise Network Recompete contract. A FedBizOpps notice posted Thursday said Space and Naval Warfare Systems Command plans to award a single indefinite-delivery/indefinite-quantity contract with a five-year base period and three option years for the services category. Capt. Ben McNeal, Naval Enterprise Networks program manager, said in a statement published Thursday the release of the solicitation for the NGEN-R contract’s SMIT portion supports the Navy’s information technology procurement strategy to segment into multiple contracts the network services for the Marine Corps Enterprise Network and the Navy Marine Corps Intranet. “Separating IT services into multiple contract segments makes management, financial and competitive sense for the Navy,” he added. 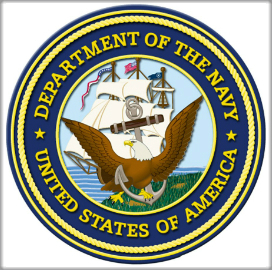 The follow-on contract for SMIT covers computer network defense, service desk, software core build services, cloud, service integration, print services and other network support for NMCI, MCEN and the OCONUS Navy Enterprise Network or ONE-Net. The military branch will accept proposals through Jan. 10. The RFP for the contract’s services part came a month after the Navy issued the solicitation for the end-user hardware category of NGEN-R.